Posted on March 18, 2015 by IASUS_CONCEPTS wrote in Product. It has 0 Comment. 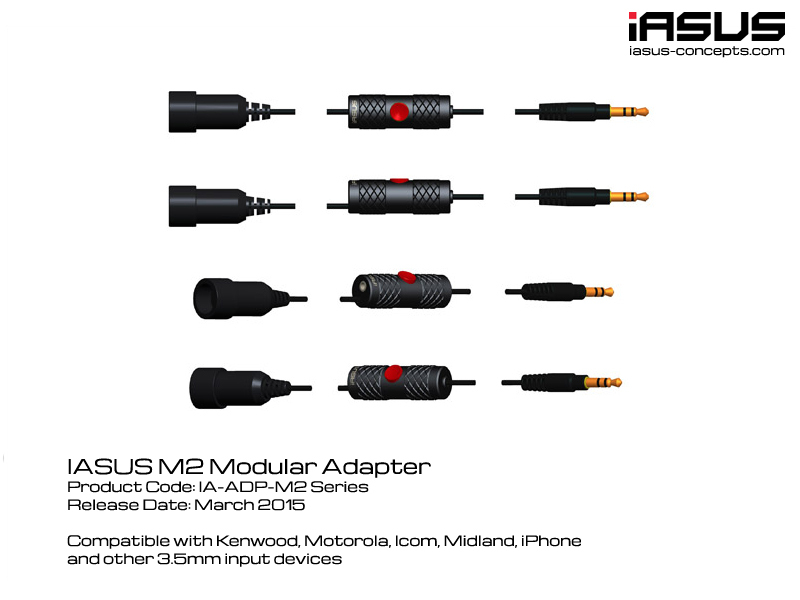 The new iASUS M2 is reverse compatible with the NT3/GP3 series headsets and accessories. There is no longer the VOX feature like the previous version, but the M2 still retains the option for connecting to different iASUS PTT configurations. The M2 is constructed of aluminum and substantially lighter than the original adapter. Lastly, the signature iASUS heavy duty braided cables will connect the M2 to either NT3/GP3 series.